Elissa Slotkin, formerly a foreign affairs specialist at the Defense Department, has been appointed principal deputy assistant defense secretary for international security affairs. 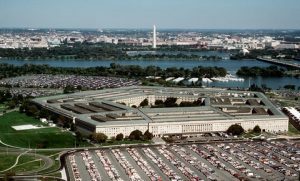 The Defense Department said Slotkin was also promoted to the Senior Executive Service. According to Al-Monitor, Slotkin will serve as top adviser to Derek Chollet, the Pentagon’s assistant secretary for international affairs, as part of a team reporting to James Miller, under secretary for policy. The Pentagon also announced Erin Logan would elevate to the SES and serve as principal director for counternarcotics and global threats, working in Miller’s office. Logan previously served as special assistant to the assistant secretary of defense for special operations and low-intensity conflict.